After decades of exile, the prophesies are coming true—King Cyrus has declared the Jews may return to Jerusalem. Iddo, a priest, is sure this is a sign of God's renewed favor. For too long they've remained in Babylon, and many, including Iddo's sons, are losing the faith that sets them apart. And so only a few choose to leave everything to return—return to their home and their God. Nothing about their journey to the Promised Land is easy. 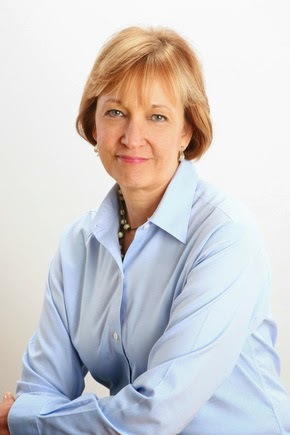 As hardships mount, even the faithful, like Iddo's beloved wife, Dinah, question the sacrifice of following God's leading. Zechariah, Iddo's oldest grandson, feels torn between his grandfather's ancient beliefs and the family they left behind. But one life-changing encounter with the Holy One gives him insight that will change Zechariah—and history—forever. My goodness! 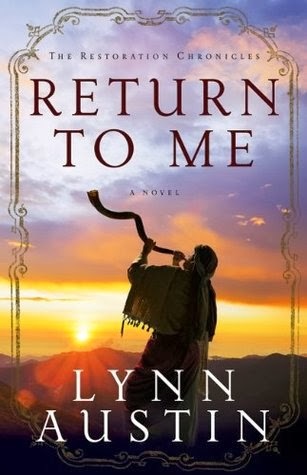 Return To Me was such a phenomenal read. The one word that comes to mind for this book is, EPIC! There is so much involved with this story. The historical detail that is shown is just amazing. The details applied in the story really capture the imagination and make it pop. The Biblical knowledge is wonderful with how the scriptures were brought into the story. Then there is the character development. There is a realness to each and everyone. I wanted to celebrate during the victories, cry during the heartaches, and slap a couple of the characters upside their head for their poor decisions. Iddo, a priest from the tribe of Levi is sure that his people will be able to leave Babylon soon. The time that the prophets had mentioned was coming to an end. However, Iddo is one of the few that believe it and seem to want it. Since their exile, the Jewish people seem content to reside in Babylon with it's people, mixing their faith with that of idol worship. Iddo finds he must even argue with his own family over if their time to return is coming up. His family is content to stay where they are at. One day, the assembly has been called, Iddo a his neighbors all go, and by proclamation of King Cyrus, the Jewish people are free to go back to Jerusalem! Iddo is thrilled. He feels called to go right away so he can start rebuilding the temple. However, his children want to stay. Reluctantly, Iddo's wife joins him for the long travel to Jerusalem, along with their eldest grandson, leaving the rest of their family behind. It's a long and tiring journey, but that wasn't the hardest part of returning. Even with a royal edict to rebuild, Iddo and his companions are met by advisories, the Samaritans, who have claimed the land for themselves, as it was abandoned in their eyes. The Samaritans have no qualms in resorting to brutality toward the Jewish community. 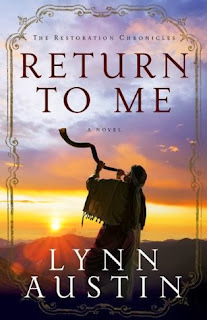 Return To Me is a moving story. There is so much offered up in it's message, it is a book I had to slowly read through to be able to absorber what I was reading. Questions were asked that made me think. One that stuck out to me the most is, Do you serve God out of fear and installment of ritual or do you serve for a close relationship. For how you observe it affects you the most. Forgiveness and Hope were the backbone of the story and it was a good reminder of things to remember. I won a copy of the book from Bethany House Publishers and I was not required to give a postive review.